Over the past several years I’ve done several interesting recycling and reuse projects. Below is a list of some of the more interesting items I’ve made. I got the idea for a cardboard boat from the many photographs and videos on the web of cardboard boat races. But while many of those boats are designed to stay afloat for a few hundred yards, I wanted to make one that would be durable enough to last a few years. 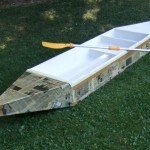 So I took some ideas from the internet along with some ideas of my own, and made a single-person cardboard kayak. It’s been several years and it still floats. I’ve made videos of the boat in action on Meadow Grounds Lake, the Juniata River, and the Potomac river. I wrote a blog post about the construction that includes some frequently asked questions and a video explaining the construction. I also have a YouTube playlist that contains several videos of the boat, from construction to fishing out of it. 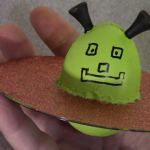 This little craft makes use of an old CD or DVD, a Styrofoam egg, and a couple of golf tees. This video explains the construction process, and this blog post will give you details and a materials list. You might want to resist the urge to throw these things like a Frisbee, though, because the edges can be a little sharp. A better idea is to use fishing line to attach them to the ceiling for decoration. Like many of the others, this idea wasn’t original with me. 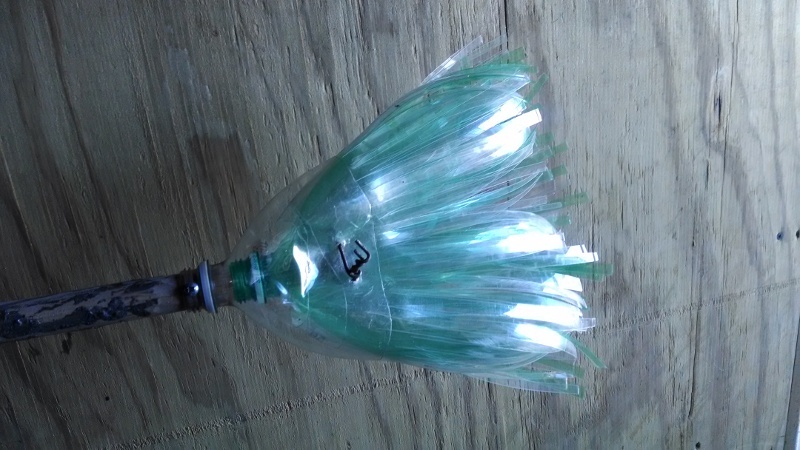 I found a picture of soda bottle broom on the Internet, but the instructions were vague, so I made one and recorded a video of the process as well. 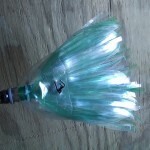 Do you know of any other cool recycling projects? If so, put your ideas on the comments below. This entry was posted in Green Tech, Green Tech - Recycling and tagged cardboard boat, CD UFO, craft, recycling, repurpose, soda bottle broom, solar oven. Bookmark the permalink.